After buying your air conditioning unit, the next most important thing to prepare for is the split air conditioner installation process. While the professionals will be responsible for your split system air conditioner installation, you still need to consider some important factors to maximise the benefits of your unit and make the split aircon installation process run smoothly. 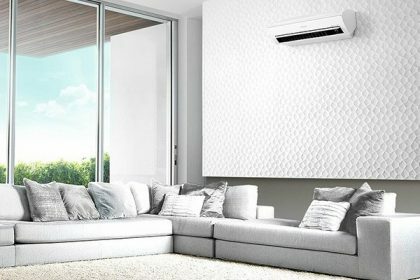 As a home or business owner, you play an important role in preparing your space for split air conditioner installation by ticking these factors off your list. It’s important to decide where to put your indoor and outdoor units before the split air conditioner installation technicians arrives at your home. The indoor unit should ideally be located where the air can be distributed thoroughly and without any distractions. It should also be wall mounted at least 8-10 feet from the floor but accessible enough for easy cleaning and maintenance. If the split air conditioner installation is in a bedroom, it’s advisable to mount it above the bed to enjoy the unit’s maximum cooling effect. If the split aircon installation is going above a window, it should be symmetrical to that window to make it look cohesive with the rest of the space. For the outdoor unit, it’s best to have the split air conditioner installation in an open space like the terrace where air can flow freely over the compressor and condenser. If that’s not an option, choose an external wall sturdy enough to hold the outdoor unit firmly and still facilitate proper airflow. One of the most important things to take note before split air conditioner installation is the strength of the wall where it will be mounted. Since you know your house more than the technicians, it’s best to decide on a wall that is strong enough to hold your indoor unit. Never do a split aircon installation on uneven or false walls to avoid accidents. Aside from safety, you will also save from paying additional split system air conditioner installation cost if it is done right the first time. During split air conditioner installation, be cautious about the space between the air conditioning unit and the wall. Ideally, there should be a minimum space of 15 centimetres surrounding the top and sides of the unit to facilitate proper airflow. The same principle should be applied for outdoor unit split air conditioner installation. If you want to maximise the cooling capabilities of your air conditioning unit, you have to take note of the proper distance between indoor and outdoor units during split air conditioner installation. Keep the distance between the two as close as possible to facilitate faster flow of your unit’s coolant. The indoor and outdoor units should not be separated by more than 15 metres or cooling will be greatly affected. 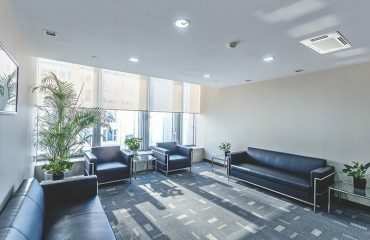 For more information on split air conditioner installation, split system air conditioner installation, split system air conditioner installation cost and other things related to air conditioning units, visit https://airconadvisory.com/all-about-split-system-air-conditioner-installation/.